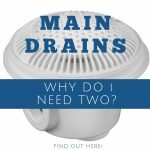 Why Do I Need Two Main Drains for my Swimming Pool? When constructing a new swimming pool, if you are going to use a main drain it is required that you use two. This is due to safety regulations to help prevent Main Trap Entrapment. Main drain entrapment occurs when the suction is so great through a single main drain that a person can become stuck on or in the drain. This caused dozens of fatalities, including that of former U.S. Secretary of State James Baker's granddaughter who drowned in the family hot tub due to Main Drain Entrapment. This prompted the VGB act of 2007, named after Virginia Graeme Baker, which mandated changes throughout the pool and spa industry. New domed main drain covers (which holes on the side) were designed in order to reduce the likelihood of being suctioned a drain cover, unlike their former flat design which encouraged entrapment. 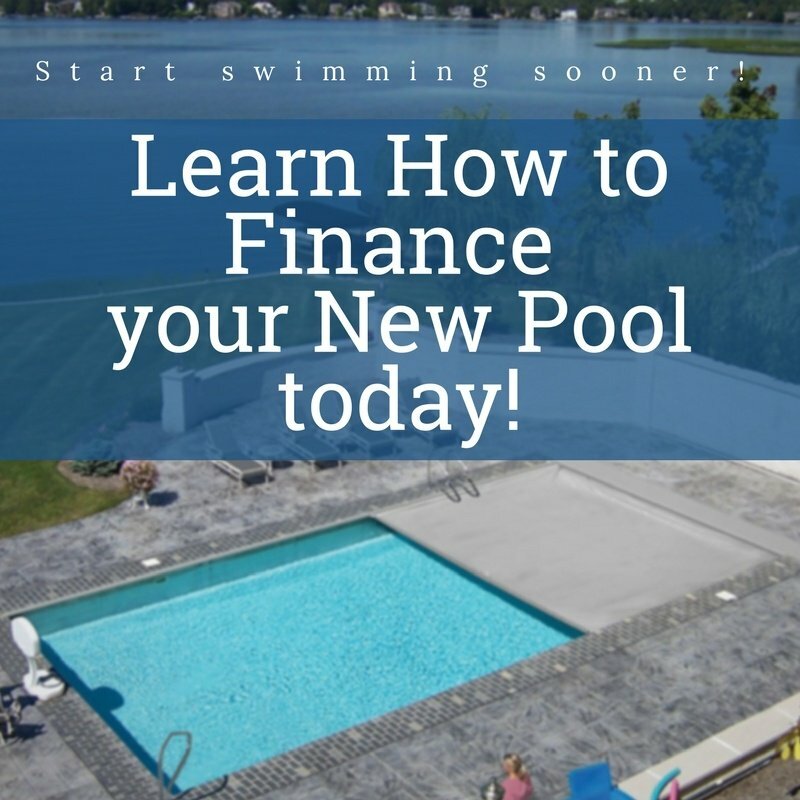 However, the largest change to the industry was the mandate that all public swimming pools and spas, as well as newly constructed residential pools and spas, be equipped with anti-entrapment devises and/or dual main drains. 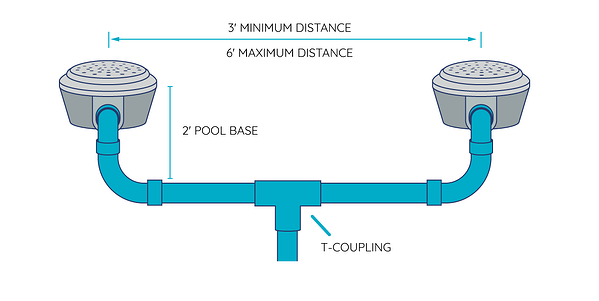 Dual main drains (required for all newly constructed residential swimming pools and spas) consist of two separate main drains, placed a minimum of 3' apart, which are connected by piping to a tee fitting. This design allows the drains to be far enough apart that one person could not block both drains simultaneously. If one drain is blocked, the suction is able to shift to the second drain allowing swimmer to swim both freely and safely. For additional resources on pool plumbing check out our article on routing & setting up your equipment pad here! 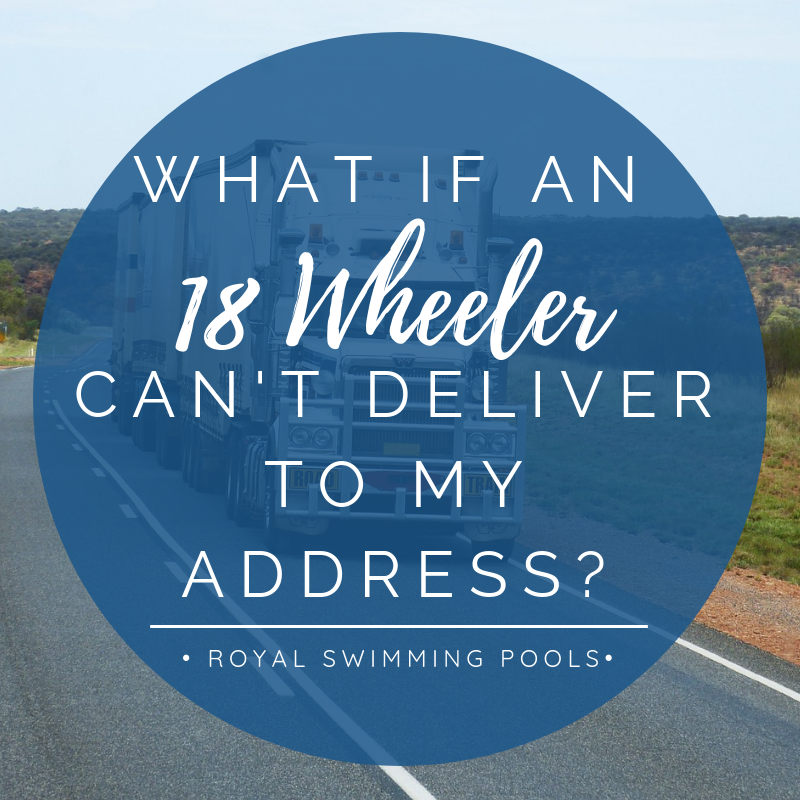 What if an 18-wheeler can't deliver to my address?